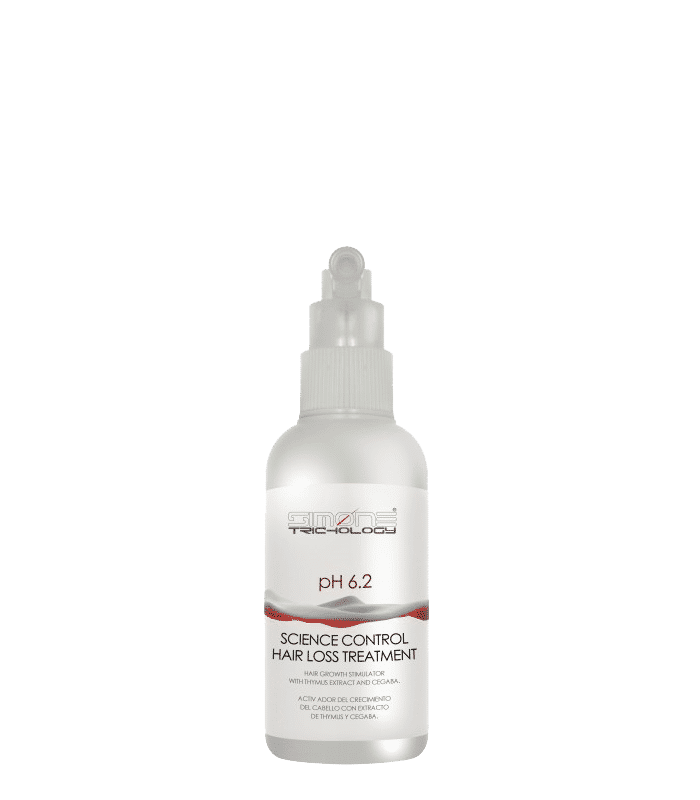 SCIENCE CONTROL HAIR LOSS TREATMENT 100ml is a enhancer of hair growth, acts on a minimum possibility of capillary activity, its intensive and deep action is due the added revitalizers which acts on the whole area of the root. SCIENCE CONTROL HAIR LOSS TREATMENT 100ml is a hight hair growth empowerer. Acts on a minimum possibility of capillary activity, its intensive and deep action is due the added revitalizers which acts on the whole area of the root, including the hair’s erection system. SIMONE TRICHOLOGY SCIENCE CONTROL HAIR LOSS TREATMENT 100ml is elaborated with the latest technical in capillary research, formulated with high protein complex, vitamin groups b, e and h, enzymes and amino acids with new revitalizing activators. INDICATED FOR CASES OF VERY INTENSE HAIR LOSS. Apply SIMONE TRICHOLOGY SCIENCE CONTROL HAIR LOSS TREATMENT 100ml every days after wash the hair with PREVENTION HAIR LOSS SHAMPOO and HAIR´S NUTRIENT ROYAL JELLY SHAMPOO during 6 consecutive weeks.